According to the National Osteoporosis Foundation, approximately 10 million Americans have been diagnosed with osteoporosis. While treatment of osteoporosis is not limited to oral medications, they play an important role in preventing bone loss, and in some cases increasing bone mass. 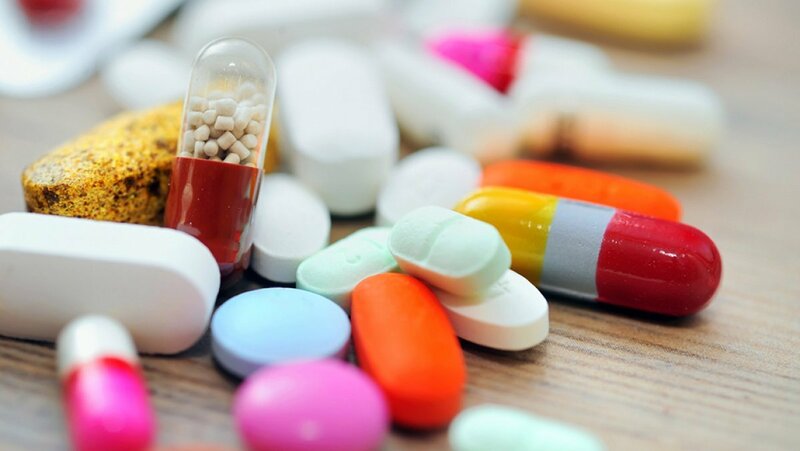 Side effects cause many patients to stop taking their osteoporosis medications, however, and this has drug makers working hard to find effective medications that are well-tolerated by patients. An Unpleasant Side Effect of Calcium Supplements? Experts at the National Institute of Arthritis and Musculoskeletal and Skin Diseases state that most Americans do not have adequate dietary intake of calcium. The recommended daily intake of calcium for those with osteoporosis is 1200mg per day with 800IU of Vitamin D. Maintaining a diet that includes calcium-rich foods is one way to achieve this level and taking calcium supplements is another. Although calcium is not scientifically proven to cause constipation, enough patients complain of the problem while taking supplements to warrant a caution. Not only is it important to ensure that the supplement contains enough elemental calcium, but also that the body will be able to absorb it. To avoid constipation, look for supplements with smaller doses of calcium taken more frequently such as 400mg three times a day. This works out well for taking the supplement at mealtimes which is also recommended for better absorption and to avoid stomach upset. Not so long ago Hormone Replacement Therapy (HRT) was a first line treatment for osteoporosis in post-menopausal women, and it is still an option for some of them. When the benefits outweigh the potential risks hormone replacement therapy can ease some uncomfortable menopausal symptoms while preventing further bone loss. For women with heart disease, however, the risks are just too high. The Association of Women for the Advancement of Research and Education (AWARE) has compiled a list of possible side effects of HRT that includes increased risk of blood clots, stroke, and heart attack. While it was initially believed that HRT worked to prevent heart attacks, this assumption proved false. Women who have had one heart attack are twice as likely to have a second after starting HRT. This risk extends also to women who have never had a heart attack, giving them an increased risk of heart attack within the first year or two after initiating HRT. Bisphosphonate medications are effective at reducing bone loss and even improving bone density in the hip and spine. Like hormone therapy, however, they are not without side effects and sometimes they are severe enough to force discontinuation of treatment. Most are gastrointestinal in nature with nausea, esophageal inflammation, and difficulty swallowing. These side effects have led to the introduction of once-weekly or even once-monthly dosages of prescription osteoporosis medications such as Actonel and Boniva. For those who cannot tolerate even the once monthly dosages, there is also the option of a once-monthy infusion of Reclast. A more serious but less frequent side effect of bisphosphonates is osteonecrosis of the jaw. Ninety-five percent of the cases reported were in patients with cancer receiving an intravenous bisphosphonate over several weeks. The risk for those taking oral bisphosphonates or a once-yearly infusion is much smaller. Patients should be sure to provide a list of medications to their dentists and continue regular dental check-ups. Pharmaceutical companies continue their research to create new drugs and improve existing ones. With newer medications, only time will tell what side effect might occur. To avoid potential side effects with any medication, it is important for patients to bring a current medication list to each doctor visit and disclose any pre-existing medical conditions. This makes it easier to avoid any drug interactions and to identify any contraindications.